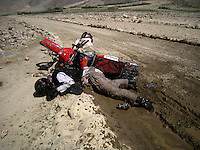 "I was knee-deep in icy black water, stuck halfway across a river, astride a spluttering Chinese motorbike. It was 3pm in north eastern Afghanistan, and a bad time to drown." What do war correspondents do when they have some free time? A Kabul based group of journalists and photographers decided to ride their Chinese motorcycles into the remote and dangerous Wakhan corridor. 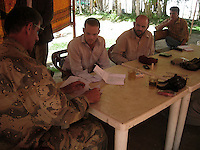 Regularly confronted by local police, but fortunately not picked up by the Taleban.